Transform your kitchen, bathroom, living room, or any room in your home by installing a tile floor made of ceramic. Available in many styles, a ceramic floor dramatically improves the ambiance of your home from wall to wall. Stylish, affordable, and long-lasting, these flooring types give your place the makeover it needs. Do you want an alternative to vinyl, carpet, or hardwood? Add beauty to your home at the right price. Ceramic tile flooring comes in so many different varieties – colors, styles, shapes, and sizes. You can truly express your own your unique sense of style with a tile floor. At the same time, you’ll save time as well as energy because ceramic tile floors are nearly maintenance free. Sweep periodically and then mop occasionally, and your tile floor will maintain its appeal. Don’t settle for old, worn-out floors when you can give yours an upgrade on a budget. With so many styles, designs, and colors to choose from, your choices are virtually unlimited. In addition, because we are part of a nationwide flooring conglomerate, we are able to locate any product you want even if we don’t carry it at our store. Let us know what you’re looking for, and we’ll make your flooring dreams come true. Customer service is one of our priorities. That’s why when you purchase a flooring product at our store, you’ll find that we take our service a step further. We not only sell floors, but we also install them. After you choose a tile floor made of ceramic that suits your needs, our experienced team can install it for you. From accurate measurements and old floor removal to installation of your new floor, we do it all. Most importantly, we offer special guarantees with our products and services. If for some reason, you are dissatisfied with the finished product within 30 days of installation, we can replace it for you. Still, the special guarantees don’t stop there. If you ever have any installation-related issue in the future, we'll make it right at our expense. Choose the most impressive way to boost the value and appeal of your place. 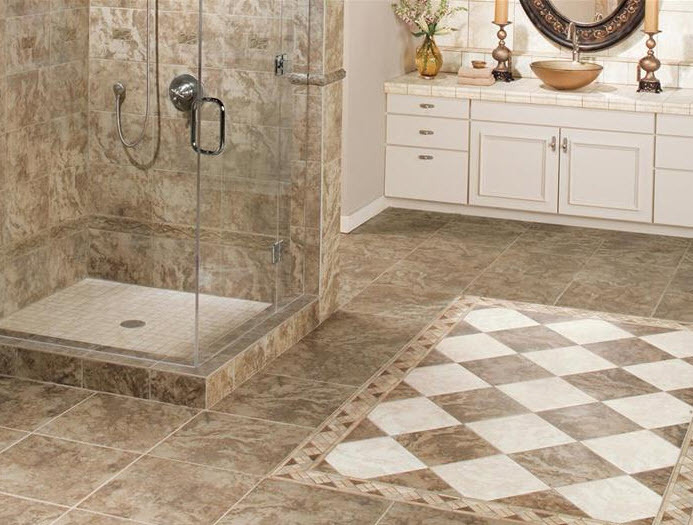 Install durable and stylish ceramic tile. Easy to maintain and ideal for any room in the house, ceramic floor tiles are excellent flooring options. Browse the impressive selection at our showroom. We are confident you’ll find exactly what you need. If you need any assistance simply ask one of our knowledgeable and friendly sales associates for help locating the perfect product for your home. Contact us to improve the ambiance in your home with new hardwood flooring. We proudly serve customers in Tawas City, East Tawas, Oscoda, National City, Au Gres, and the surrounding areas.